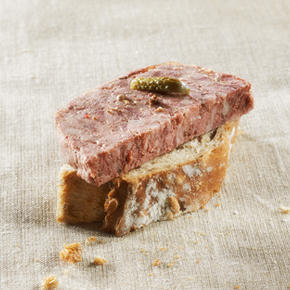 Our gourmet pâtés are prepared with a subtle mixture of various meats and ingredients selected to create delicious combinations of flavours. 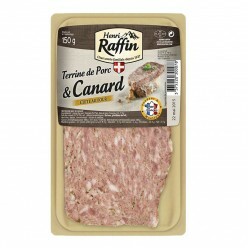 The ingredients are coarsely chopped in order to ensure the presence of large morsels of meat in the pâté, which is visually more attractive and in line with the authenticity of our recipes. Dive into the tradition with our authentic terrines, prepared according to traditional methods.